The Facial Pain Research Foundation, TNnME members and the International Trigeminal Neuralgia Awareness Fighters give thanks to all those that are participating in the 2017 "Light Up Teal" the 5th Annual International Trigeminal Neuralgia Awareness Day on October 7th 2017. Adding Trigeminal Neuralgia to the “Health List” of illnesses will expand awareness, grant access to further resources, and create opportunities for funding and research. ​Let's Rock it TN friends and family! Get your shirt ordered! Surprise your loved one, support them, order one for them, yourself, family and be entered in a drawing for a free shirt! The jar is getting full for the drawing! We are also looking for our FIRST International order! Our first shirt order got a gold number one and star printed on the sleeve showing she was our first supporter of this Awesome campaign approved by the Facial Pain and Research Foundation! So far we have raised over 170.00 in less than a week! Imagine what we can do together until October 7th making this the largest International campaign showing the Foundation we stand strong not just purchasing cool gear but shirts that are changing the world one T-shirt at a time.. making a difference by Custom T's that took time to care about us! The best looking group wearing our Intl TN Awareness Day T-Shirts will be this year 2017 TNnME Light Up Teal Posters! Everybody knows every year I send posters out to our regional managers in different Countries! USA, Canada, Ireland, New Zealand, Brazil! This year adding UK, Australia and Italy! So get your group together, order your T-Shirts and let's see who will be representing 2017 TNnME Light Up Teal Posters for October 7th International Trigeminal Neuralgia & Facial Pain Awareness Day!! The Radisson Blu's Ditchley House,Little Island, Cork Ireland We give thanks and gratitude to everyone at The Radisson Blu's Ditchley House Cork Ireland for Lighting Up TEAL for the 5th, Annual International Trigeminal Neuralgia Awareness Day on October 7th, 2017! ​Dun-Laoghaire Rathdown Town Hall in Dublin Ireland We give thanks and gratitude to everyone at The Dun-Laoghaire Rathdown Town Hall in Dublin Ireland for Lighting Up TEAL for the 5th, Annual International Trigeminal Neuralgia Awareness Day on October 7th, 2017! ​Cork City Hall Ireland We give thanks and gratitude to everyone at Cork City Hall, Cork Ireland for Lighting Up TEAL for the 5th, Annual International Trigeminal Neuralgia Awareness Day on October 7th 2017! ​Millmount Tower Drogheda Ireland We give thanks and gratitude to everyone at The Millmount Tower Drogheda Ireland for Lighting Up TEAL for the 5th, Annual International Trigeminal Neuralgia Awareness Day on October 7th, 2017! ​Louth County Dundalk Town Hall Ireland We give thanks and gratitude to everyone at ​Louth County Dundalk Town Hall Ireland for Lighting Up TEAL for the 5th, Annual International Trigeminal Neuralgia Awareness Day on October 7th 2017! ​The Canada Peace Bridge!! We give thanks and gratitude to everyone at the Buffalo and Fort Erie Public Bridge Authority for Lighting Up TEAL for the 5th, Annual International Trigeminal Neuralgia Awareness Day on October 7th 2017! The Helix Bridge Singapore We give thanks and gratitude to everyone The Technolite Pte Ltd and Guthrie Engineering Pte Ltd for sponsoring the Light Up Teal for the 5th Annual International Trigeminal Neuralgia Awareness Day on October 7th, 2017! ​​The Helix Bridge Singapore an architectural marvel. ​The Gateshead Millennium Bridge!! We give thanks and gratitude to everyone at the Gateshead Council in United Kingdom for Lighting Up Teal for the 5th, Annual International Trigeminal Neuralgia Awareness Day on October 7th 2017! Tallinn Television Tower, Estonia We give thanks and gratitude to everyone at Tallinn Television Tower Estonia for Lighting Up TEAL for the 5th, Annual International Trigeminal Neuralgia Awareness Day on October 7th, 2017! Hilton Columbus Hotel Downtown Columbus OH We give thanks and gratitude to everyone at The Hilton Columbus Downtown Hotel OH for Lighting Up TEAL for the 5th, Annual International Trigeminal Neuralgia Awareness Day on October 7th, 2017! 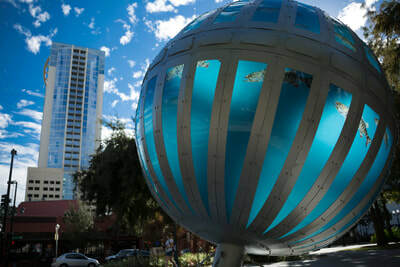 ​MEET Las Vegas We give thanks and gratitude to everyone at MEET Las Vegas Nevada for Lighting Up TEAL for the 5th, Annual International Trigeminal Neuralgia Awareness Day on October 7th 2017! One Liberty Place Philadelphia, PA We give thanks and gratitude to everyone at One Liberty Place in Philadelphia for Lighting Up TEAL for the 5th Annual International Trigeminal Neuralgia Awareness Day on October 7th 2017! The Mid-Hudson Bridge New York USA We give thanks and gratitude to everyone for Lighting Up Teal the Mid-Hudson Bridge for the 5th Annual International Trigeminal Neuralgia Awareness Day on October 7th, 2017! ​Big Four Station Park Jeffersonville IN We give thanks and gratitude to everyone at ​Big Four Station Park Jeffersonville IN for Lighting Up TEAL for the 5th, Annual International Trigeminal Neuralgia Awareness Day on October 7th 2017! ​Kenneth F. Burns Memorial Bridge Worcester MA We give thanks and gratitude to everyone at MassDOT-Kenneth F Burns Memorial Bridge Worcester Ma for Lighting Up TEAL for the 5th, Annual International Trigeminal Neuralgia Awareness Day on October 7th, 2017! ​TAIPEI 101, Taiwan We give thanks and gratitude to everyone at the TAIPEI 101, Taiwan in Taiwan for Lighting Up TEAL for the 5th, Annual International Trigeminal Neuralgia Awareness Day on October 7th, 2017! ​​The TAIPEI 101, Taiwan office center offers a world-class office environment and is worthy of consideration as an advantageous location for multinational corporations located in Taiwan. Aside from its location in the national, master-planned Hsinyi District, TAIPEI 101 possesses numerous competitive advantages such as 2,644 square meters of unobstructed floor space, ceilings that exceed the height of most other office buildings, as well as spacious lobbies, exhibition chambers, and public spaces. ​Woodford Dolmen Hotel, Kilkenny Rd, Carlow Ireland We give thanks and gratitude to everyone at Woodford Dolmen Hotel Carlow Ireland for Lighting Up TEAL for the 5th, Annual International Trigeminal Neuralgia Awareness Day on October 7th, 2017! Cliff House Hotel in Ardmore, Co. Waterford Ireland We give thanks and gratitude to everyone at ​Cliff House Hotel in Ardmore, Co. Waterford Ireland for Lighting Up TEAL for the 5th, Annual International Trigeminal Neuralgia Awareness Day on October 7th 2017! The region is rich in tradition. We are located close to Ring - a Gaeltacht or Irish-speaking area - while the nearby Blackwater Valley sequesters some 70 historic ‘Big Houses’ on its wooded banks. Castle Durrow Country House Hotel, Co. Laoi Ireland We give thanks and gratitude to everyone at Castle Durrow Country House Hotel, Co. Laoi Ireland for Lighting Up TEAL for the 5th, Annual International Trigeminal Neuralgia Awareness Day on October 7th 2017! ​The Sichuan Tower of China We give thanks and gratitude to everyone at The Sichuan Tower of China for Lighting Up TEAL for the 5th, Annual International Trigeminal Neuralgia Awareness Day on October 7th, 2017! ​The Reconciliation Bridge Canada We give thanks and gratitude to everyone at The Langevin Bridge Canada for Lighting Up TEAL for the 5th, Annual International Trigeminal Neuralgia Awareness Day on October 7th 2017! ​The Bell Tower in Perth Australia, We give thanks and gratitude to everyone at The Bell Tower in Perth Australia for Lighting Up TEAL for the 5th, Annual International Trigeminal Neuralgia Awareness Day on October 7th 2017. The TORCH DOHA We give thanks and gratitude to everyone at THE TORCH DOHA Aspire Zone for Lighting Up TEAL for the 5th, Annual International Trigeminal Neuralgia Awareness Day on October 7th 2017! TELUS Spark, the new Science Centre We give thanks and gratitude to everyone at the Telus Spark Calgary, AB Canada for Lighting Up TEAL for the 5th, Annual International Trigeminal Neuralgia Awareness Day on October 7th, 2017! The Westin Dublin Hotel Ireland We give thanks and gratitude to everyone at The Westin Dublin Hotel Dublin Ireland for Lighting Up TEAL for the 5th, Annual International Trigeminal Neuralgia Awareness Day on October 7th, 2017! St. Coleman's Cathedral Cobh We give thanks and gratitude to everyone at St. Coleman's Cathedral Cork Ireland for Lighting Up TEAL for the 5th, Annual International Trigeminal Neuralgia Awareness Day on October 7th 2017! 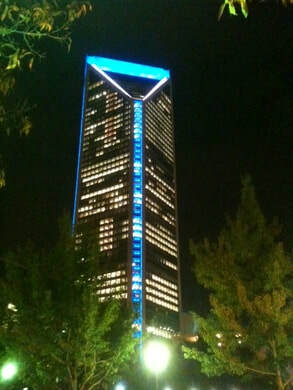 ​Wells Fargo's Duke Energy Center We give thanks and gratitude to everyone at the Wells Fargo's Duke Energy Center for Lighting Up TEAL for the 5th, Annual International Trigeminal Neuralgia Awareness Day on October 7th 2017! 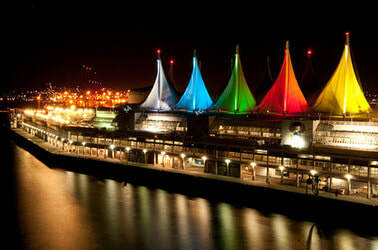 Canada Place Vancouver We give thanks and gratitude to everyone at Canada Place Vancouver Canada for Lighting Up TEAL for the 5th, Annual International Trigeminal Neuralgia Awareness Day on October 7th 2017! While they cannot change the lights on the fountain, they will publish this in/on their bulletin boards. We give thanks and gratitude to everyone at the City of Langford BC Canada for publishing our event for the 5th, Annual International Trigeminal Neuralgia Awareness Day on October 7th 2017! The Niagara Falls!! We give thanks and gratitude to everyone at The Niagara Falls Illumination Board for Lighting Up TEAL for the 5th Annual International Trigeminal Neuralgia Awareness Day on October 7th 2017! The Calgary Tower Alberta Canada We give thanks and gratitude to everyone at The Calgary Tower Calgary, Alberta Canada for Lighting Up TEAL for the 5th, Annual International Trigeminal Neuralgia Awareness Day on October 7th, 2017! 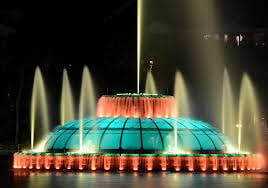 The Fountain at Lafarge Lake in Coquitlam Canada and the Light Columns as well as the SkyTrain guideway pillars along Pinetree Way.We give thanks and gratitude to everyone at Coquitlam Canada for Lighting Up TEAL for the 5th, Annual International Trigeminal Neuralgia Awareness Day on October 7th, 2017! ​Coquitlam’s Town Centre Park is a destination city-wide park that also serves the local community, providing exceptional sport, recreation and cultural amenities and experiences. ​London Convention Centre ON Canada We give thanks and gratitude to everyone at the London Convention Centre Ontario Canada for Lighting Up TEAL for the 5th, Annual International Trigeminal Neuralgia Awareness Day on October 7th, 2017! London Life Building Ontario Canada We give thanks and gratitude to everyone at London Life Building Ontario Canada for Lighting Up TEAL for the 5th Annual International Trigeminal Neuralgia Awareness Day on October 7th 2017! ​Building relationships is at the root of our success as a leading insurer in Canada. In addition to providing a broad range of financial security products to individuals, families, businesses and organizations, we are a strong supporter of communities across the country. Our success comes by working directly with hundreds of national, regional and local community organizations, through our head office locations and our network of field offices across Canada. ​London City Hall of ON Canada We give thanks and gratitude to everyone at the London City Hall of Ontario Canada for Lighting Up TEAL for the 5th, Annual International Trigeminal Neuralgia Awareness Day on October 7th, 2017! beginning Friday, October 6, through Monday, October 9, 2017! Since the end of World War II, London has experienced a growth unprecedented in its history. With the major annexation of 1961, which added 60,000 people to the city, London had grown close to a quarter of a million people in 1976, the one hundred and fiftieth anniversary of its founding. The J. Allyn Taylor Building at Wellington and Dundas Canada We give thanks and gratitude to everyone at The J. Allyn Taylor Building Canada for Lighting Up TEAL for the 5th, Annual International Trigeminal Neuralgia Awareness Day on October 7th, 2017! beginning Friday, October 6, through Monday, October 9, 2017! ​Walter J. Blackburn Memorial Fountain We give thanks and gratitude to everyone at Walter J. Blackburn Memorial Fountain City of London Ontario Canada for Lighting Up TEAL for the 5th, Annual International Trigeminal Neuralgia Awareness Day on October 7th, 2017! beginning Friday, October 6, through Monday, October 9, 2017! St. Patrick's College, Maynooth, Co. Kildare Ireland We give thanks and gratitude to The President of St. Patrick's College, Maynooth, Co. Kildare for Lighting Up TEAL for the 5th, Annual International Trigeminal Neuralgia Awareness Day on October 7th, 2017! ​Loftus Hall in Co. Wexford Ireland We give thanks and gratitude to everyone at Loftus Hall in Co. Wexford Ireland for Lighting Up TEAL for the 5th, Annual International Trigeminal Neuralgia Awareness Day on October 7th 2017! High Level Bridge Canada We give thanks and gratitude to everyone at The High Level Bridge in Edmonton Alberta Canada for Lighting Up TEAL for the 5th, Annual International Trigeminal Neuralgia Awareness Day on October 7th, 2017! Crystal Bridge - Myriad Botanical Gardens Oklahoma City, OK USA We give thanks and gratitude to everyone at The Crystal Bridge Oklahoma City OK USA for Lighting Up TEAL for the 5th, Annual International Trigeminal Neuralgia Awareness Day on October 7th, 2017! BOMA: BUILDING OWNERS AND MANAGERS ASSOCIATION OF CHICAGO We give thanks and gratitude to everyone from BOMA Chicago for Lighting Up TEAL for the 5th, Annual International Trigeminal Neuralgia Awareness Day on October 1 – 8, 2017! ​ BOMA/Chicago is a trade association that has represented the interests of the Chicago office building industry since 1902. Membership includes 260 commercial office, institutional and public buildings and 170 companies that provide commercial building services to support operational excellence. BOMA/Chicago members make up 94 percent of downtown’s total rentable building area and 100 percent of rentable space in Class A buildings downtown. ​The Wrigley Building Clock Tower We give thanks and gratitude to everyone at the Wrigley Building Clock Tower Chicago IL for Lighting Up TEAL for the 5th, Annual International Trigeminal Neuralgia Awareness Day on October 7th 2017! ​Council House Perth Australia We give thanks and gratitude to everyone at the Council House Perth Australia for Lighting Up TEAL for the 5th, Annual International Trigeminal Neuralgia Awareness Day on October 7th 2017! Unfortunately the City of Perth have had to cancel all feature lighting bookings up until November. Council House was designed by two young Melbourne architects –– Jeffrey Howlett and Donald Bailey ­–– who were awarded the commission after a nationwide design competition was launched.The ‘technicolor’ building is now acknowledged as one of the city’s most appealing night-time landmarks. ​Trafalgar Bridge Perth Australia We give thanks and gratitude to everyone at the City of Perth for Trafalgar Bridge Perth Australia for Lighting Up TEAL for the 5th, Annual International Trigeminal Neuralgia Awareness Day on October 7th 2017! Unfortunately the City of Perth have had to cancel all feature lighting bookings up until November. Trafalgar Bridge is a bridge within Western Australia and is nearby to Heirisson Island, Highgate and Perth. 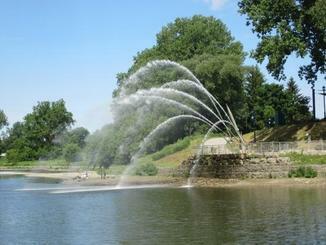 Trafalgar Bridge is also close to Haig Park Place, Goongoongup Bridge and Gloucester Park. We give thanks and gratitude to everyone at The Leonard Zakim Bunker Hill Bridge in Boston Ma for Lighting Up TEAL for the 5th, Annual International Trigeminal Neuralgia Awareness Day on October 7th 2017! ​Pelham Town Arches Niagara Canada ​We give thanks and gratitude to everyone in the town of Pelham Niagara Canada for Lighting Up TEAL the Town Arches for the 5th, Annual International Trigeminal Neuralgia Awareness Day on October 7th, 2017! ​Boston City Hall Boston Massachusetts We give thanks and gratitude to everyone at The Boston City Hall for Lighting Up TEAL (Lt. Blue) for the 5th, Annual International Trigeminal Neuralgia Awareness Day on October 7th, 2017! ​Hennepin County Lowry Avenue Bridge Minneapolis MN We give thanks and gratitude to everyone at Hennepin County Lowry Avenue Bridge Minneapolis Minnesota for Lighting Up TEAL for the 5th, Annual International Trigeminal Neuralgia Awareness Day on October 7th, 2017! The Cloud is a unique, modern structure that has quickly become a landmark along Auckland’s waterfront. Designed by Jasmax, The Cloud reflects Aotearoa, land of the long white cloud. The Cloud was erected as a temporary structure to accommodate an inner-city fanzone during Rugby World Cup 2011, and has since won a place in the hearts of Aucklanders and visitors alike. Fitzsimmons Bridge Whistler BC Canada We give thanks and gratitude to everyone at Fitzsimmons Bridge Whistler BC Canada for Lighting Up TEAL for the 5th, Annual International Trigeminal Neuralgia Awareness Day on October 7th, 2017! Bank of America Dallas Texas We give thanks and gratitude to everyone at the Bank of America Dallas Texas for Lighting Up TEAL for the 5th, Annual International Trigeminal Neuralgia Awareness Day on October 7th, 2017! Carthage College Wisconsin We give thanks and gratitude to everyone at the Carthage College Wisconsin for Lighting Up TEAL for the 5th, Annual International Trigeminal Neuralgia Awareness Day on October 7th, 2017! ​Elk River Bridge Charleston WV We give thanks and gratitude to everyone at the Elk River Bridge Charleston WV for Lighting Up TEAL for the 5th, Annual International Trigeminal Neuralgia Awareness Day on October 7th, 2017! ​The Elk River Bridge Built 1939; rehabilitated 2000, Steel through arch, Dimensions: Length of largest span: 233.9 ft.,Total length: 425.9 ft.
​City Hall of Houston, Houston Texas We give thanks and gratitude to everyone at the City Hall of Houston, Houston Texas for Lighting Up TEAL for the 5th, Annual International Trigeminal Neuralgia Awareness Day! City Hall of Houston will be lit teal October 3rd to October 5th, 2017! The Saint Louis Science Center's James S. McDonnell Planetarium St. Louis, MO We give thanks and gratitude to everyone at ​The Saint Louis Science Center's James S. McDonnell Planetarium, St. Louis MO for Lighting Up Teal for the 5th Annual International Trigeminal Neuralgia Awareness Day on October 7th, 2017! ​The Colpatria Tower in Bogotá, Colombia! 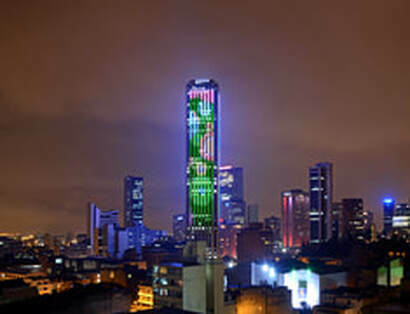 We give thanks and gratitude to everyone at the Torre Colpatria (Colpatria Tower) Bogota Colombia for Lighting Up Teal for the 5th, Annual International Trigeminal Neuralgia Awareness Day on October 7th 2017! We thank you for showing support every year since the beginning of TNnME International Trigeminal Neuralgia Awareness Campaign from 2013 to present date! ​Miami Tower We give thanks and gratitude to everyone at The Miami Towers in Miami FL for Lighting Up TEAL for the 5th, Annual International Trigeminal Neuralgia Awareness Day on October 7th, 2017! Halifax City Hall Canada We give thanks and gratitude to everyone at The Halifax City Hall Canada for Lighting Up TEAL for the 5th, Annual International Trigeminal Neuralgia Awareness Day on October 7th 2017! ​Rose Kennedy The Green Way Light Blades Boston Ma We give thanks and gratitude to everyone at The Rose Kennedy The Green Way Light Blades Boston Massachusetts for Lighting Up TEAL for the 5th, Annual International Trigeminal Neuralgia Awareness Day on October 7th 2017! 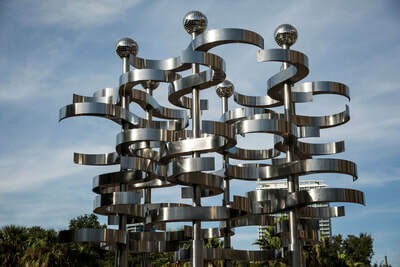 The Greenway's Light Blades, The twelve 24-fool tall Light Blades line the Wharf District Parks between State Street and India Street. Color Commons is a variation of a 2012 piece by the same name and artist and was commissioned by The Greenway as an addition to our 2016-2017 Winter Lights program. The Welland Bridge 13 in Welland, Ontario Canada We give thanks and gratitude to everyone at The Welland Bridge 13 in Welland, Ontario Canada for Lighting Up Teal for the 5th, Annual International Trigeminal Neuralgia Awareness Day on October 7th, 2017! Melbourne Star Observation Wheel Melbourne, Victoria, Australia We give thanks and gratitude to everyone at Melbourne Star Observation Wheel Melbourne, Victoria, Australia for Lighting Up Teal for the 5th, Annual International Trigeminal Neuralgia Awareness Day on October 7th, 2017! The Melbourne Star’s fully enclosed, air-conditioned glass cabins provide unimpeded “floor-to-ceiling” views and are large enough to allow up to 20 guests to walk comfortably around without the feeling of cabin movement or vibration. CN Tower Toronto Canada We give thanks and gratitude to everyone at CN Tower Toronto Canada for Lighting Up Teal for the 5th, Annual International Trigeminal Neuralgia Awareness Day on October 7th, 2017! Retirement Systems of Alabama: RSA Tower Bldg in Mongtomery, AL Renaissance Montgomery Hotel & Spa RSA Battle House Tower in Mobile AL Renaissance Mobile Riverview Plaza Hotel RSA Trustmark Bldg. in Mobile AL We give thanks and gratitude to everyone in Mobile & Montgomery Alabama for "Light Up Teal" on our 5th Annual International Trigeminal Neuralgia Awareness Day on October 7th 2017! ​Treasury Casino and Hotel Brisbane Australia We give thanks and gratitude to everyone at Treasury Casino and Hotel Brisbane Australia for Lighting Up Teal for the 5th, Annual International Trigeminal Neuralgia Awareness Day, due to obligations the Treasury Casino and Hotel will light Up Teal October 1st 2017! Located in the heart of Brisbane with a grand heritage setting, Treasury Casino & Hotel, by The Star Entertainment Group, offers all of its guests a first class entertainment experience 24 hours a day. Treasury Casino & Hotel opened its doors in 1995 and continues to entertain both visitors to and residents of Brisbane. Rich in history, Treasury Casino & Hotel boasts a 5-star heritage hotel, 6 restaurants, 5 bars, and the non-stop excitement of the city’s only casino. ​Trafalgar Square UK We give thanks and gratitude to The Greater London Authority for Lighting Up TEAL the Trafalgar Square Fountains for the 5th, Annual International Trigeminal Neuralgia Awareness Day on October 7th 2017! ​Managed by the Greater London Authority, Trafalgar Square is a landmark in central London enjoyed by Londoners and all visitors alike. It is a lively place often used for a wide range of activities including: special events and celebrations like the Royal Wedding, Olympics One Year to Go, St Patrick's Day and Chinese New Year; filming and photography; and rallies and demonstrations. ​TORONTO 3D Sign Toronto Canada We give thanks and gratitude to everyone at The TORONTO 3D Sign Toronto Canada for Lighting Up TEAL for the 5th, Annual International Trigeminal Neuralgia Awareness Day on October 7th, 2017! ​Skydance Bridge Oklahoma City Oklahoma USA We give thanks and gratitude to everyone at The ​Skydance Bridge Oklahoma City Oklahoma for Lighting Up TEAL for the 5th, Annual International Trigeminal Neuralgia Awareness Day on October 6th, 2017! ​Prudential Plaza Chicago, IL We give thanks and gratitude to everyone at The ​Prudential Plaza Chicago, IL for Lighting Up TEAL for the 5th, Annual International Trigeminal Neuralgia Awareness Day on October 7th through October 9th, 2017! One Prudential Plaza is a 41-story structure in Chicago completed in 1955 as the headquarters for Prudential's Mid-America company. At the time, the skyscraper was significant as the first new downtown skyscraper built in Chicago in 21 years. Peco Crown Energy Building PA USA We give thanks and gratitude to everyone at The Peco Crown Energy Building in PA USA for Lighting Up TEAL for the 5th, Annual International Trigeminal Neuralgia Awareness Day and they will display "10/7 is Trigeminal Neuralgia Awareness Day " October 7th, 8th, 9th 2017! Vancouver B.C. Science World We give thanks and gratitude to everyone at Vancouver, BC Science World Canada for Lighting Up TEAL for the 5th, Annual International Trigeminal Neuralgia Awareness Day on October 7th 2017! ​Stewart Street Bridge Dayton OH We give thanks and gratitude to everyone at Stewart Street Bridge Dayton OH for Lighting Up TEAL for the 5th, Annual International Trigeminal Neuralgia Awareness Day on October 7th 2017! The Forks Market Tower We give thanks and gratitude to everyone at The Forks Market Tower Winnipeg Canada for Lighting Up TEAL for the 5th, Annual International Trigeminal Neuralgia Awareness Day on October 7th 2017! ​The Absolute Towers aka.. Marilyn Monroe Towers Mississauga Canada We give thanks and gratitude to everyone at the Absolute Towers aka Marilyn Monroe Towers Mississauga Canada for Lighting Up TEAL for the 5th, Annual International Trigeminal Neuralgia Awareness Day on October 7th, 2017! ​The Kenny Wilmont House Louisville KY We give thanks and gratitude to everyone at the The Kenny Wilmont House Louisville KY for Lighting Up TEAL today and everyday for the 5th, Annual International Trigeminal Neuralgia Awareness Day on October 7th, 2017! Perth Concert Hall Perth Australia We give thanks and gratitude to everyone at Perth Concert Hall Perth Australia for Lighting Up TEAL for the 5th, Annual International Trigeminal Neuralgia Awareness Day on October 7th, 2017! Overland Park Convention Center Kansas USA We give thanks and gratitude to everyone at the ​Overland Park Convention Center Kansas for Lighting Up TEAL for the 5th, Annual International Trigeminal Neuralgia Awareness Day on October 7th, 2017! 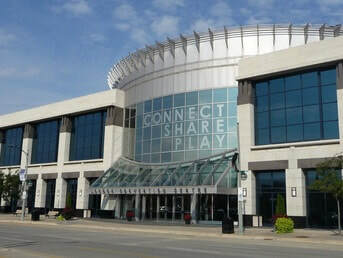 The first Convention Hall no longer stands, but it paved the way for the current Convention Center that spans eight city blocks and boasts a variety of spaces to accommodate events from UMKC basketball games to car shows. ​The Mansion House, Dublin Ireland We give thanks and gratitude to everyone at The Mansion House Dublin Ireland for Lighting Up TEAL for the 5th, Annual International Trigeminal Neuralgia Awareness Day on October 7th, 2017! The Blackrock Castle Observatory Blackrock Castle Cork Ireland We give thanks and gratitude to everyone at ​The Blackrock Castle Observatory Blackrock Castle Cork Ireland for Lighting Up TEAL for the 5th, Annual International Trigeminal Neuralgia Awareness Day on October 7th 2017! The Crowne Plaza Hotel Dublin Airport Ireland We give thanks and gratitude to everyone at The Crowne Plaza Hotel Dublin Airport Ireland for Lighting Up TEAL for the 5th, Annual International Trigeminal Neuralgia Awareness Day on October 7th 2017! Fitzgerald's Woodlands House Hotel, Adare, Co Limerick Ireland, We give thanks and gratitude to everyone at Fitzgerald's Woodlands House Hotel Ireland for Lighting Up TEAL for the 5th, Annual International Trigeminal Neuralgia Awareness Day on October 7th 2017! The Corporate Headquarter of Limerick City & County Council Ireland We give thanks and gratitude to everyone at The Corporate Headquarter of Limerick City & County Council in Ireland for Lighting Up TEAL for the 5th Annual International Trigeminal Neuralgia Awareness Day on October 7th 2017! Limerick City and County Council (Comhairle Cathrach agus Contae Luimnigh) is the authority responsible for local government in the City of Limerick and County Limerick in Ireland. It came into operation on 1st June 2014 after the 2014 local elections. Orlando Eye Ferris Wheel Orange County FL We give thanks and gratitude to everyone at Orlando Eye Ferris Wheel Orange County FL for Lighting Up TEAL for the 5th Annual International Trigeminal Neuralgia Awareness Day on October 7th 2017! Mississauga Civic Centre Clock Tower Canada We give thanks and gratitude to everyone at Mississauga Civic Centre Canada for Lighting Up TEAL for the 5th Annual International Trigeminal Neuralgia Awareness Day on October 7th 2017! Leicester Clock Tower Leicester UK We give thanks and gratitude to everyone at Leicester City Council UK and Leicester Clock Tower Leicester UK for Lighting Up TEAL for the 5th Annual International Trigeminal Neuralgia Awareness Day on October 7th 2017! Georgina Civic Centre Georgina Canada We give thanks and gratitude to everyone at Georgina Civic Centre Georgina Canada for Lighting Up TEAL for the 5th Annual International Trigeminal Neuralgia Awareness Day on October 7th 2017! to the legacy and memory of Dr. King, Jr.
We give thanks and gratitude to everyone at St. Aidan's Cathedral In Enniscorthy CO. Wexford Ireland for Lighting Up TEAL for the 5th, Annual International Trigeminal Neuralgia Awareness Day on October 7th, 2017! ​Skylon Tower We give thanks and gratitude to the Skylon Tower in Niagara Falls, Canada for "Light Up Teal" on our 5th, Annual International Trigeminal Neuralgia Awareness Day on October 7th 2017! Castletown House in Celbridge, Co. Kildare Ireland We give thanks and gratitude to everyone at Castletown House in Celbridge, Co. Kildare Ireland for "Light Up Teal" on our 5th, Annual International Trigeminal Neuralgia Awareness Day on October 7th 2017! Queen Elizabeth Theatre Tower Vancouver Canada We give thanks and gratitude to everyone at Queen Elizabeth Theatre Tower Vancouver Canada for "Light Up Teal" on our 5th, Annual International Trigeminal Neuralgia Awareness Day on October 7th 2017! Burlington City Hall Ontario Canada We give thanks and gratitude to everyone at Burlington City Hall Ontario Canada for "Light Up Teal" on our 5th, Annual International Trigeminal Neuralgia Awareness Day on October 7th 2017! ​The Palmerston North Clock Tower We give thanks and gratitude to everyone at The Palmerston North Clock Tower New Zealand for Lighting Up TEAL for the 5th, Annual International Trigeminal Neuralgia Awareness Day on October 7th, 2017! ​War memorial clock tower, Blenheim Seymour Square New Zealand We give thanks and gratitude to everyone at the Blenheim Clock Tower Seymour Square New Zealand Lighting Up TEAL for the 5th, Annual International Trigeminal Neuralgia Awareness Day on October 7th 2017!. Olympic Cauldron Vancouver BC Canada We give thanks and gratitude to everyone at the Olympic Cauldron Vancouver BC Canada Lighting Up TEAL for the 5th, Annual International Trigeminal Neuralgia Awareness Day on October 7th 2017! The Vancouver Convention Centre is also home to the Coal Harbour Cafés, located in our East and West buildings. Just imagine enjoying a pastry made fresh daily from our “scratch” kitchen, sipping the perfect cup of java – fair-trade, organic coffee roasted exclusively for us by a local supplier, Moja Coffee – while enjoying breathtaking harbour vistas or a majestic view of the Cauldron..
​The Lit Brothers Building Philadelphia PA We give thanks and gratitude to everyone at ​The Lit Brothers Building Philadelphia PA USA Lighting Up TEAL for the 5th, Annual International Trigeminal Neuralgia Awareness Day on October 7th 2017! The Ben Franklin Bridge Camden NJ/Philadelphia PA We give thanks and gratitude to everyone at The Delaware River Port Authority for Lighting Up TEAL the Ben Franklin Bridge for the 5th, Annual International Trigeminal Neuralgia Awareness Day on October 7th, 2017! 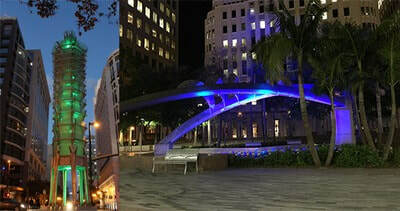 Update: They will Light Up Teal October 21st and 22nd! Mandela Hall Belfast Ireland We give thanks and gratitude to everyone at The Mandela Hall Belfast Ireland for Lighting Up TEAL for the 5th, Annual International Trigeminal Neuralgia Awareness Day on October 7th, 2017! Mandela Hall is a world-class music and entertainment venue at the heart of your very own Students’ Union. With a capacity of up to 1000 people standing. It also configurable for smaller audiences and seated shows (400). The BC Place Stadium in Vancouver Canada!! We give thanks and gratitude to everyone at The BC Place Stadium in Vancouver Canada for Lighting Up TEAL on October 5th for the 5th, Annual International Trigeminal Neuralgia Awareness Day! They couldn't do October 7th so they're lighting up teal on October 5th, 2017! ​Riverwalk Commons Newmarket Ontario Canada We give thanks and gratitude to everyone at The Riverwalk Ontario Canada for Lighting Up TEAL for the 5th, Annual International Trigeminal Neuralgia Awareness Day on October 7th, 2017! ​Well Fargo Building Salt Lake City UT We give thanks and gratitude to everyone at The Well Fargo Building Salt Lake City UT for Lighting Up TEAL for the 5th, Annual International Trigeminal Neuralgia Awareness Day on October 7th, 2017! We thank you all in UT! We give thanks and gratitude to everyone at Frankston Arts Centre Frankston in Victoria Australia for Lighting Up TEAL for the 5th, Annual International Trigeminal Neuralgia Awareness Day on October 7th, 2017! They will run 2017 “Light up Teal" slides on the Frankston Arts Centre flytower on October 7 and October 8. 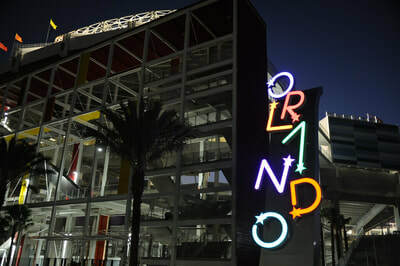 They are also going to run a few teal images with the wording Light Up Teal for Trigeminal Neuralgia Awareness Day. ​The Convention Centre Dublin Ireland We give thanks and gratitude to everyone at The Convention Centre Dublin Ireland for Lighting Up TEAL for the 5th, Annual International Trigeminal Neuralgia Awareness Day on October 7th 2017! The Central Bar & Restaurant in Navan, Co. Meath Ireland We give thanks and gratitude to everyone at ​The Central Bar & Restaurant in Navan, Co. Meath Ireland for Lighting Up Teal for the 5th, Annual International Trigeminal Neuralgia Awareness Day on October 7th, 2017! ​Shannon Airport Co. Clare, Ireland We give thanks and gratitude to everyone at Shannon Airport Co. Clare, Ireland for Lighting Up TEAL for the 5th, Annual International Trigeminal Neuralgia Awareness Day on October 7th 2017! ​FMC Tower, Cira Center Tower Philadelphia PA US We give thanks and gratitude to everyone at FMC Tower, Cira Centre and the Cira South Garage PA USA for Lighting Up TEAL for the 5th, Annual International Trigeminal Neuralgia Awareness Day on October 7th, 2017! 3 Arena We give thanks and gratitude to everyone at 3Arena in Dublin Ireland for Lighting Up TEAL for the 5th, Annual International Trigeminal Neuralgia Awareness Day on October 7th 2017! ​The National Concert Hall Dublin Ireland We give thanks and gratitude to everyone at The National Concert Hall Dublin Ireland for Lighting Up TEAL for the 5th, Annual International Trigeminal Neuralgia Awareness Day on October 7th, 2017! 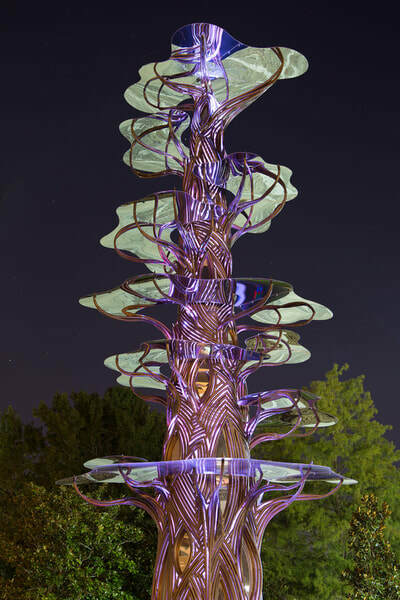 Lexarts has agreed to turn teal a new art installation entitled, “Origins” which is featured on the Oliver Lewis Way Bridge! We give thanks and gratitude to everyone at Lexarts Lexington Kentucky for Lighting Up TEAL for the 5th, Annual International Trigeminal Neuralgia Awareness Day on October 7th, 2017! 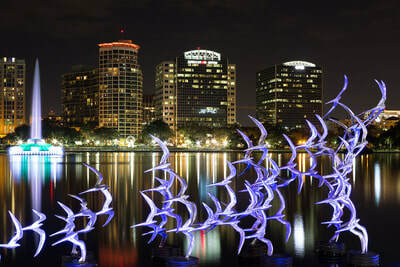 City of Orlando Florida has agreed to turn teal their "See Art Orlando"
We give thanks and gratitude to everyone at City of Orlando Florida for Lighting Up TEAL for the 5th, Annual International Trigeminal Neuralgia Awareness Day on October 7th, 2017! Camara Municipal de Sao Caetano do Sul, Sao Caetano do Sul located at Sao Paulo Brazil We give thanks and gratitude to everyone at The Camara Municipal de Sao Caetano do Sul Brazil for Lighting Up TEAL for the 5th, Annual International Trigeminal Neuralgia Awareness Day on October 7th, 2017! "I am so excited because Brazil will finally light up teal for the first time my friend!!!!!!!!!!!!!!!!!!!!" Just a few moments ago I got a phone call that made me so happy!!!!! After some meetings, some explaining about TN and lots of questions about the disease as well as about the International Trigeminal Neuralgia Awareness Day, the City Hall of my city will light up teal on this next Saturday!!!!!!!!!!!!! 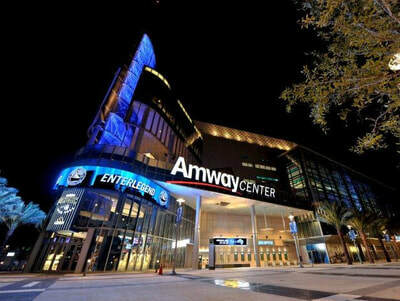 We will be all together in front of the building and will take lots of pictures! TD Garden Boston Ma USA We give thanks and gratitude to everyone at TD Garden Boston MA for Lighting Up TEAL for the 5th, Annual International Trigeminal Neuralgia Awareness Day on October 7th, 2017! ​Galway City Hall Galway Ireland We give thanks and gratitude to everyone at Galway City Hall Galway Ireland for Lighting Up TEAL for the 5th, Annual International Trigeminal Neuralgia Awareness Day on October 7th, 2017! Christchurch Cathedral Dublin Ireland We give thanks and gratitude to everyone at The Christchurch Cathedral in Dublin Ireland for Lighting Up TEAL for the 5th, Annual International Trigeminal Neuralgia Awareness Day on October 7th, 2017! The Bishops Palace Museum Waterford Ireland We give thanks and gratitude to everyone at the Bishops Palace Museum Waterford Ireland for Lighting Up TEAL for the 5th, Annual International Trigeminal Neuralgia Awareness Day on October 7th 2017! ​Government Center Station Boston Ma We give thanks and gratitude to everyone at The Government Center Station Boston Ma for Lighting Up TEAL for the 5th, Annual International Trigeminal Neuralgia Awareness Day on October 7th 2017! Pennsylvania State Capitol Harrisburg PA We give thanks and gratitude to everyone at Pennsylvania State Capitol Harrisburg PA and a special thank you to House Rep Michael O'Brien for the Lighting Up TEAL for the 5th, Annual International Trigeminal Neuralgia Awareness Day on October 7th, 2017! To see House Bill #558 Recognizing October 7th as National Trigeminal Neuralgia Awareness Day. ​Built and furnished at a cost of $13 million, the Capitol features paintings, stained glass and furnishings by some of the best artisans of the day. The building incorporates various Renaissance designs in some of its largest rooms: Italian in the House Chamber, French in the Senate Chamber, and English in the Governor’s Reception Room. It also reflects Greek, Roman and Victorian influences in its art and ornamentation. Throughout the building, Huston blended the various styles with motifs featuring Pennsylvania’s achievements in labor, industry and history, making the Capitol uniquely American. Its five-story exterior is faced with handsome Vermont granite, and the roof is composed of green glazed terra cotta tile.